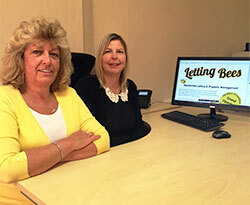 We at Letting Bees are a local, independent lettings agency dealing exclusively with the lettings and management of residential accommodation in and around Camelford & surrounding areas. Renowned for our professional and friendly staff, our dedicated team cover all aspects of lettings and renting making the whole process as simple and straightforward as possible. Whether you are a landlord with a property to let, or a soon-to-be tenant looking for properties to rent, Letting Bees will do the hard work for you. Letting Bees can find the perfect home for you.